This holiday season, ACCESS volunteered at the Salvation Army Distribution Depot and had the opportunity to serve over 45 families in our community about every 15 minutes! Our employees also sponsored an Angel Tree and donated 25 gifts to make the season brighter for local families. We're so thankful for the opportunity to give back this holiday season! Recently, our President and CEO, Bonnie, and ACCESS Advisor Mary Carter, stopped by 94.9 The Point to chat with Woo Woo about ACCESS and changes to the FAFSA form this year. The interview appeared on Hampton Roads' Perspectives which can be heard on Sunday mornings on any Entercom station! Didn't have a chance to catch the interview? You can listen to the full segment above! 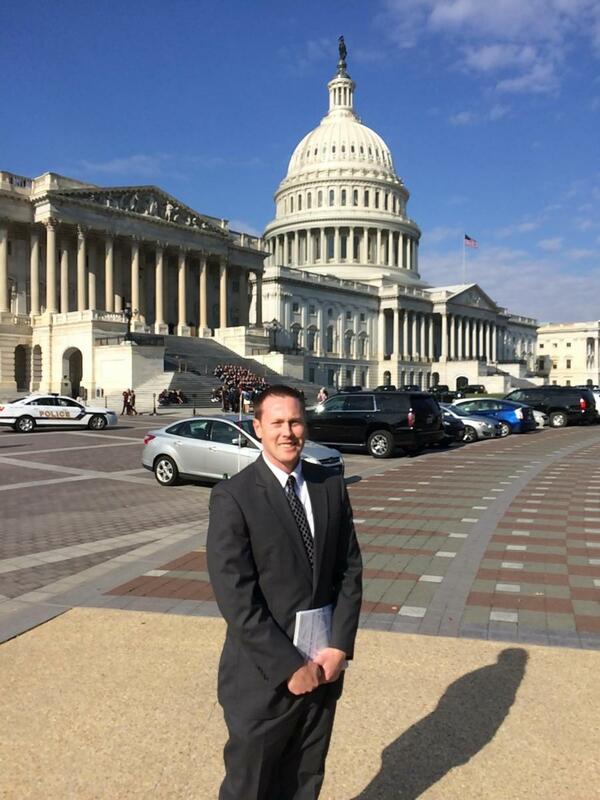 Kyle Williams, Program Specialist, represented ACCESS College Foundation on a panel in Washington DC as an expert in the field of college access. There is strong bipartisan interest on Capitol Hill in simplifying the first and most visible step in the student aid process: the Free Application for Federal Student Aid (FAFSA). But there is little awareness of, or advocacy around, what happens after the application is filed and why it matters. The panel discussed the barriers that the FAFSA verification process can create for low-income or otherwise at-risk students. This collaborative project between TICAS, NCAN and NASFAA aims to educate members of Congress and their staff about the need to ensure that simplification on the front end of the application process isn’t undermined by complexity on the back end, where burdensome “verification” paperwork can delay or block eligible low-income students’ access to aid. 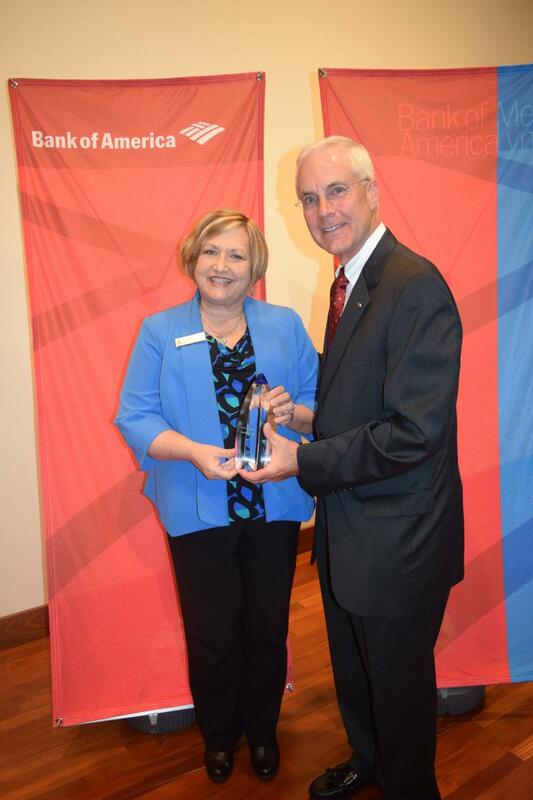 ACCESS Receives Bank of America's Neighborhood Builders Award! 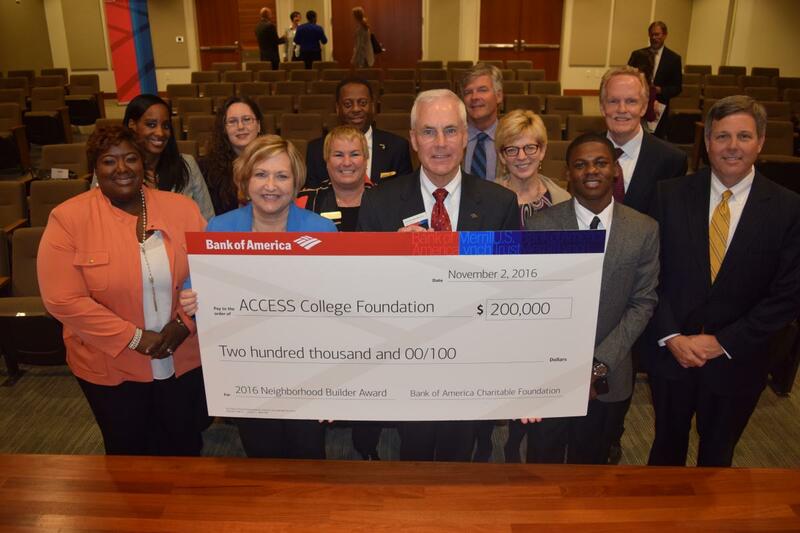 ACCESS was chosen as one of 62 organizations from across the country this year to receive Bank of America's Neigborhood Builders Award! Through the program, Bank of America empowers non-profits to meet the changing needs in their communities by connecting them to leadership training development and $200,000 in flexible funding. ACCESS will use the funding to expand their services and connect ACCESS Scholars with internship and job opportunities. To see more photos from the event, please visit our Facebook page!